Southbound trains leave from Hualamphong station in Bangkok 13 times daily between 8:05 and 22:50. 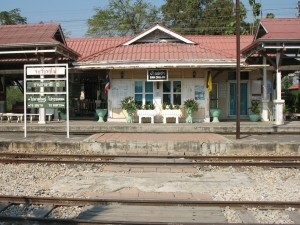 Whereas most trains stop to Hua Hin, only three trains, departing at 9:20, 15:35 and 18:30, stop at Cha-Am (respectively at 13:10, 19:42 and 22:07). You can go to Hualamphong station in Bangkok by bus or by taxi, but also with the subway (the MRT), which is very convenient during rush hours. 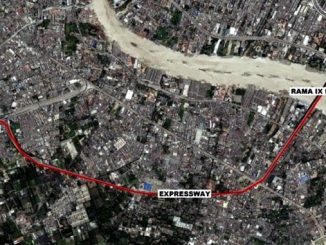 Two trains also leave from Thonburi (opposite the Grand Palace area, on the other side of the river) at 7:30 and 13:05 and stop in Cha-am at 11:18 and 17.23. Display the railway schedule from Bangkok to south (last update November 2017). 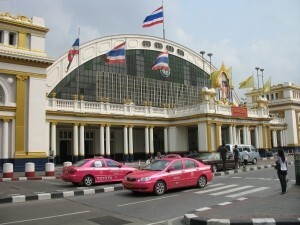 Click here to locate Hualamphong train station with Google Maps. State Railway of Thailand (online booking available). 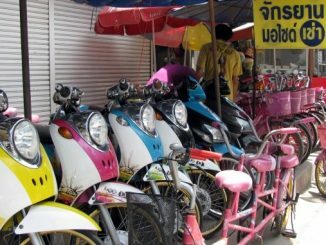 When you arrive in Cha-Am, you will find taxis and moto-taxis who can take you to your hotel or to the beachfront. It’s quite a long walk to the beach (2 kilometers), but if you’re up to it, walk straight in the direction of the sign that says “Welcome to Cha-Am”. 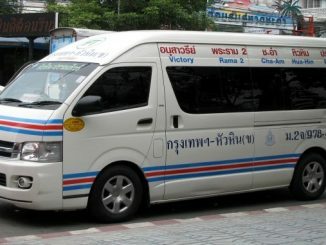 You will pass the police station and post office on your left, then you will arrive at the main intersection of Cha-Am. Cross the road at the traffic lights and keep on walking straight to the beach. 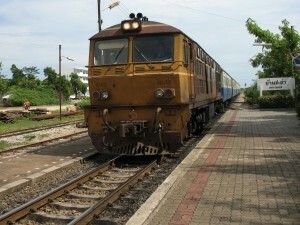 The train to Bangkok, according to the official schedule, stops at Cha-Am at 14:33 and arrives in Bangkok at 19:00. Most likely, the train will stop at Cha-Am around 15:00, and you will arrive in Bangkok around 19:30! So it’s quite a long journey: 4.5 hours, while it takes only a bit more than 2 hours by road. 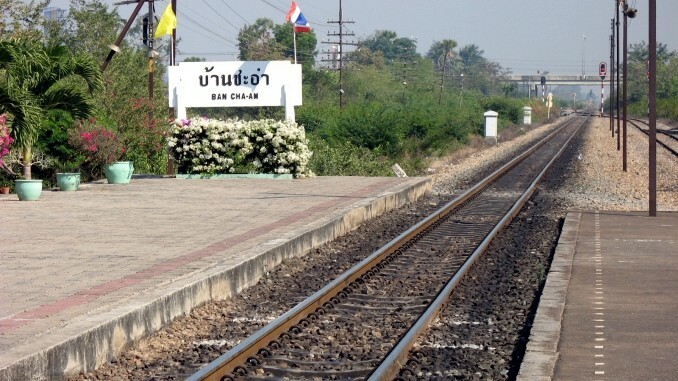 This is because the train stops often, and takes a longer road northwards (through Ratchaburi and Nakhon Pathom). You can’t beat the price though, as it is only 40 baht (3rd class). You can also catch an early morning train at 04:55, and arrive in Bangkok at 9:00. Another train stops at night (1:40) and arrives in Bangkok at 5:35. Please check the official schedule at the train station for confirmation, and don’t forget that the trains in Thailand are often late. Two trains also stop in Cha-am at 6:41 and 12:13 and take you to Thonburi (opposite the Grand Palace area, on the other side of the river) at 10:55 and 16:10. Display the railway schedule from south to Bangkok (last update November 2017). 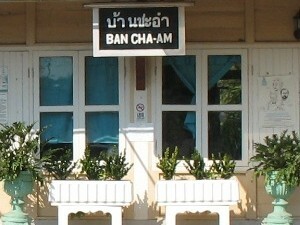 BAN CHA-AM is the exact name of the station. 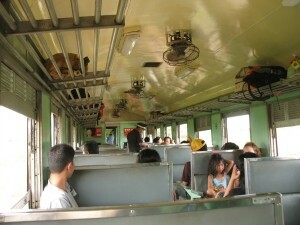 Train #262 from Cha-Am to Bangkok. In the train (class 3). Stephane, the more closely and deeply I dive into this site the more information I find. As a first-timer in Thailand and Cha-am this site is worth its weight (whatever that is!) in gold. I know how much effort it takes to maintain a site and i offer both my congratulations and thanks to you for your work. I am sure that the positive feedback you get is a small fraction of what is felt by your readers.